It had been a few months since the battle lines between Nuka and his sire had been drawn, months since Nuka disowned himself. Right now, he didn't care about becoming a prince, he didn't care about being king, he didn't care about anything. Becoming a teenager was one of the awkwardest things that Nuka had been through, he voice started to deepen but it still remained high-pitched due to his young age. His beard had grown in making him look increasingly older just as his growing mane did. For every lion aging was different, although most males' manes seemed to grow from the bottom up. Unlike most males, Nuka's seemed to grow from the tip of his head down, his teenage obsidian mane tuft now reaching just past his shoulders. With less pridemembers, food rations were increased but even then it still wasn't enough. With the death of his eldest sister, Nuka's demeanor had changed. He hated his father for the event, he was told about the fight between the water buffalo from Sarabi. His father shouldn't of exiled Tasa and Heshima for it, there was no reason to because it wasn't their fault. Maybe something else was said? Nuka highly doubted it to be honest. With Ari's death and the majority of his siblings' exile, Nuka was left alone in the dying kingdom with one sibling; Uma. The two had never really been close, but Nuka was deciding that maybe now they should get to know each other better. The teenage prince had been wandering around the kingdom that day, staying as far away from his sire as possible. He seemed to be going mad in the coming days and Nuka worried that it would mean the end for the pride. Maybe he should pull a Giza, slip away and become lost, never to be found again? He couldn't leave Uma all alone though, it didn't feel right in the teen's conscious. Maybe they could escape together, but to where? The Outlanders hated the Pridelanders, and the argument he had with the future queen of those lands really unnerved the lion. Besides the Outlands there was the dangerous savannah that Nuka had ventured into once or twice, but he really couldn't find living out there a possibility. As his thoughts started to wander all over the place, the teen stumbled upon the once great Majani Forest. What used to be colorful and plentiful with food and water now lay dead in thorns and large thickets. Nuka's kingdom was dying, that was all there was to it. If he was king, none of this would be happening to him, none of his family would have died or been exiled. Maybe one day he should just kill his father and take the throne for himself. Of course his mother would probably kill him before he even won the battle, but either or, Nuka wanted his father out of power. It seemed that Nuka had gained intelligence in his maturing state and now he agreed with most of the lionesses. It was either kick Scar out of power, or die. Finally after wandering for a while Nuka plopped down at the edge of a dwindling waterhole, the thing now looking like a puddle more than anything. Was this what he was going to die looking at? The Pridelands needed a savior, that was everything that they needed. Maybe Nuka should train more, overthrow his father and become the pride's savior? No, that was only a dream, he was too weak and too caring to do that even though he now hated his sire. Nuka didn't even refer to Scar as his father anymore when he talked about him, he only referred to him as 'he' or Scar. Of course this wouldn't be what his mother wanted, she was too blind to see the lands were the way they were because of her mate. Zira and Scar, the two most ruthless lions in the savannah it seemed, and of course Nuka had to be the child of both. Luckily for him he gained a gentleness that was only seen in his parent's cub years when they were around loved ones, but for Nuka he would carry that with him all of his life. As the teen closed his eyes for a small catnap, he wished anyone but his parents would find him here and strike up a conversation. It would keep his mind off most things that had recently been plaguing his thoughts. But of course, if his father came about he would do whatever it took to stay away from him, even if it would earn him his own scar in the process. But right now, Nuka's hope for everything was dwindling, just like the lands before him. Months of training were beginning to feel pointless. Yet she was a determined lioness. Perhaps too much beyond reason. By now she resigned herself to the lands as they were. Tough living only made you stronger. This day she would find no rest, no, she was seeking out her son, Nuka. The pride had grown smaller and so it wasn't too difficult to search for the teenager. There were only so many places he could be. The queen was naturally upset with him of late, never speaking with his father and giving him, the king, the respect he deserved. It seemed though Zira was getting upset with Nuka over anything, Now she had to hunt him down and drag him toward a training session. If he was all there was to their blood, maybe... ... well, just maybe. Zira kept such a daring and risky thought to herself for now. New cubs meant a stronger chance for the right heir. Tracking Nuka deep into the old forest, she found him laying by a waterhole. "There you are! I've been looking for you all morning, it's time to train!" Zira's red eyes glared at him from where she stood behind him, waiting for some sort of expected retort. He's been growing worse day by day but Zira was sure a hard day's training would beat out any sentiment left in him. Her tail lashed out behind her as she held what little patience she carried. What was wrong with him? It was more than being a teenager, he's fallen so far from their expectations. "The sun won't wait all day!" she softly growled in his direction. 'And neither will I. Something has to be done and soon.' Her plan was becoming more desperate. If things weren't going to change in their favor, Zira was willing to make changes herself. Truth be told, even though Nuka didn't look it, he was a very strong lion. His mother nor father saw that so he normally held back during their training. But today he felt that he should lash out at whatever his mother threw at him with all the strength he had. He may of inherited the lanky appearance from his parents, but Nuka harbored his uncle and great-grandfather's strength. He was too lean from his sire's carelessness of ruling a kingdom for anyone to see that, but he wouldn't be that way for long. His adulthood life was approaching rapidly, and even he could feel himself growing daily; even by only the slightest amount. His mane was growing thicker, starting to lose it's scruffy waves day by day, but honestly Nuka didn't want them to vanish, he liked his scruffiness. But alas, he knew that they would most likely soon be gone due to maturing just as everything was. In fact, the only part of his body hair that seemed to be becoming more scruffy was his beard. Inherited by some unknown family member, his beard was something that he was proud of. It made him even more different from his father than originally planned. As his eyes remained shut, his keen sense of hearing picked up the sounds of paw pads. He instantly could tell that they were Scar's, so he eased his tension just a little bit, but when he realized whose steps they were he grimaced slightly so that their owner couldn't see. Finally the sounds came to a stop, and Zira stood behind her son with probably a glare in her eyes. She mentioned training which made Nuka snap open his eyes and narrow them at the ground. His claws quickly became unsheathed and he slowly stood up. His back was still to his mother when he spoke, "The sun won't wait? There has been no sun on these lands for years, not since Sarabi's mate has died," He learned at a cub age that he had lost an uncle and cousin, but he didn't know their names. Now he only referred to them as Sarabi's mate or Sarabi's son. "Can't anyone in the royal family besides me see that the Great Kings are mad? There has never been a drought this long in the Pridelands. Ever." Nuka retorted smugly and tsked, "Oh, what am I to know? I forgot, no one listens to me anymore. I'm not supposed to be the intellectual one." However the growing adolescent turned his head to his mother, who he now stood eye level with. Hopefully he would turn out taller than her, but there were no promises. "What's the point in training then mother? 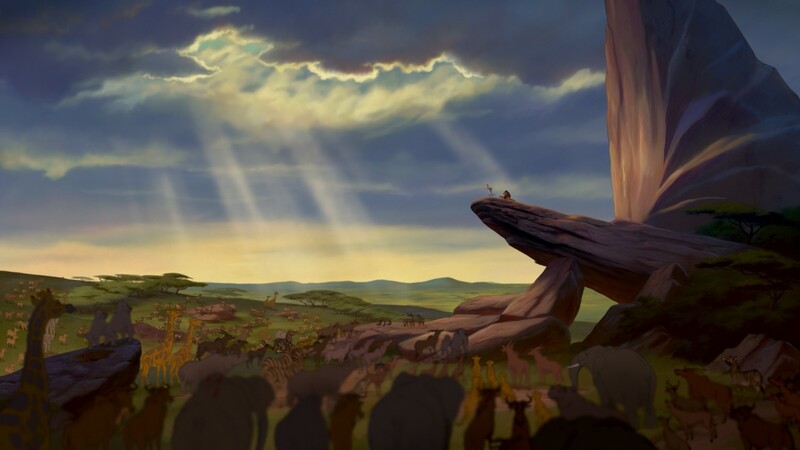 No one wants this land that has been turned into a large pile of mangy hyena and meerkat remains. Besides, I'm not going to be the next king," He remembered his conversation with his father well, "Scar doesn't care about me anymore. I'm just disposable, just like every other one of the lions he's sired. He's not going to take a look at me, he's going to wander off and find some lioness to trick and get a cub out of, until he finds his perfect heir,"
Nuka backed away for a second and crouched down low, making sure that at this point he dodged every single one of his mother's blows from his retaliation. However if they were going to be training he might as well make it worth while. Crimson met crimson as son eyed mother. His teeth were slightly bared and his claws were sharper than ever. The teen was just about to be an adult, he might as well act like one now. "Fine mother, let's get to training. It's about time I show you that I'm not scrawny and weak like everyone thinks. Not like it matters to you anyways," A dark chuckle ran through his voice, something that he had never experienced in his entire life. But that would be the only time he would pull his father's darkness out of his own body. His pouncing position locked, he followed his mother's every move with his eyes, making sure not to miss one thing. There were thorns around them everywhere due to the dead plant life, so Nuka's mind was already concocting an idea. "Be prepared," His father's unknown slogan, the thing that he used to issue his brother's death. Nuka didn't know of this, neither did his mother or anyone else in the pride. Even though Nuka tried to stay away from his father, it still seemed that no matter where he go or what he did, he couldn't escape his clutches. But for now, training was upon him, maybe showing his mother that he was stronger than he let on would take his mind off of things. Such talk was partially expected, mostly due to his age. Yet the things Nuka spat out her were enough to get the Queen perhaps more irritated. How could he say that?! Just what was wrong with Nuka? However, she almost liked his reaction. Perhaps there was something left in him, she had to draw it out. At least for this one last time. Nuka would be given one more chance to prove himself but she said nothing of it. As Zira's tail swished behind her, watching as her son gave in to what she wanted, she just smirked at his last statement. 'That's more like it...' "Is that so? Well then, let's begin!" Zira never went easy on the method of training as they began immediately. Her idea of training the next heir, worthy enough for Scar, would more than likely be considered brutal, unforgiving, cruel and harsh. Yet there was also more than just strength involved. It also took wits. To know your opponent and their weakness. Zira was a fighter, she always had been. "Put more effort into it!" she snapped at Nuka. Growing up, it wasn't quite the paradise that lions like Sarabi or Sarafina were privileged to. To make your way in the world you couldn't just expect everything to be given to you. You had to battle for it. If this training session between her and Nuka did not turn out as she wanted, she would no longer bother with him. It would be a waste after all and Zira would make certain to have a new heir ready and waiting. Perhaps the long-awaited prince would go beyond their expectations and they would still be in control of the Pridelands just as was desired. What more could they possibly ask for when that day came? For some reason his mother's words enraged him, and as he was enraged his eyes followed his mother's every move. He remembered Scar claiming that his mother was pregnant, but something seemed off. She looked skinnier, but if she was where were the cubs? Where was his sire's "perfect" heir? These thoughts enraged Nuka even more and finally the teen launched out of the pouncing position and lept on top of his mother. Unfortunately for the teenager he didn't put enough force into his attack and his mother easily flung him off into the thorn bushes behind her. Yet again Nuka was chastised for not being able to do something right. It was always try harder with him, always do something more than what he had already done. Try to be perfect with no flaws. His family held raised him with high standards, maybe if they listened to him once in a while then they would be able to see that no one in the world can be perfect. It was impossible. The thorns did little damage to the adolescent who seemed to dodge them slightly but they still were hitting sensitive parts of his body such as his tail and paws. Quickly shaking off the damage, Nuka realized what his mother had just done. A plan immediately formed into his head, one that his cunning parents would be proud of to say the least. The thorns were just another way for bodily harm in a way, and Nuka knew exactly how to show his mother that he was worthy of being alive. Worthy of being a 'prince'. Worthy of being her son. The russet teen slowly padded around his mother, backing farther away from her than he normally did. Once he was far enough away Nuka began to sprint towards the striped lioness in a frontal attack. However his paws made a slight detour and soon Nuka found himself pouncing on a rock next to his mother. Not a second later the teen pushed off of the rock and body slammed the queen with his side with enough force to knock her into the thorns. The way Zira should land would leave her body littered with the dead plant-life if Nuka planned it correctly. But the teenager did not let up his attack there. No, he was ruthless today, something he almost never showed. His claws unsheathed, Nuka was suddenly upon his mother and slashed at her paws. It was likely that the stripped queen was able to get back up off of the ground at that point so the slash was meant to knock her down back to the ground. Once Zira was down on the ground Nuka would have her in a vulnerable position, but hurting her was something he really wasn't intending on doing. The next slash was aimed at her frontal neck and upper chest while he quickly bit down on her neck as well. His rage was being controlled however, he knew that this was his mother that he was fighting, training against in order to prove to her something. But what exactly was Nuka really trying to prove to his mother? Was it the fact that he was trying to prove his worth in the world? Or was it the fact that he was just trying to make her proud of him for once? Finally after another swat to the head Nuka quickly backed up and stood his ground, ready for more retaliation from his mother. His lip curled and he growled loudly and harshly. His crimson eyes narrowed as he stared at Zira. "I'm not weak," his blood started to boil, "I was never weak! You and the rest of the pride have to stop treating me like that!" Although many of the pride were just skin and bones, Nuka for some reason still had a little bit of weight on him. Whether it was from his miraculous growth or still some cub fat that he somehow had yet to lose he was technically one of the stronger lions of the pride. But of course, no one else saw that. 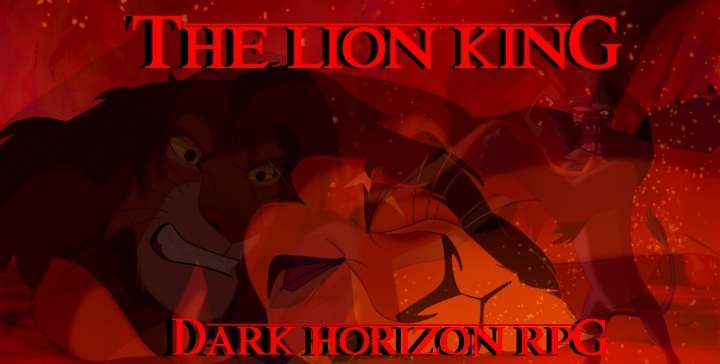 The day that Zira produced Scar’s long-desired dream heir seemed further away every time the sun retired for the evening, so that even the deranged king was starting to lose hope -- what little hope he had left to cling to. It was a shame, he thought, that Uma had not been born a male. The pride saw very little of the now grown princess, but Scar thought little of her absences, as long as his only remaining daughter returned to Pride Rock at the end of each day. As was his habit now, the old king lurked about his kingdom in solitude, his mind plagued by the usual lunacy and unhappiness. Near the forest, where Scar seldom bothered to go, he heard the sounds of scuffling. Instantly interested in what it could be, the russet lion hurried over to get a good look. His days were so dull, certainly he could use a little excitement. What he saw was certainly not what he had ever expected. Not from Nuka, anyway. The fighting pair didn’t seem to notice when Scar approached, just in time to witness Nuka throwing his mother into the thorns. The dark king’s mouth fell open in surprise; part of him was thrilled to see his son in action, finally, but a bigger part was thoroughly horrified by the scene before him. What kind of son would attack his own mother? This behavior was inexcusable, even to someone as malicious as Scar. Besides that, there was still a chance that Zira was pregnant, even if she didn’t necessarily show it. Scar watched in stunned silence until Nuka shouted, his pent up aggression finally too much for the adolescent to contain. The angry words seemed to jolt the aging lion from his stupor. Without a second thought, the enraged lion threw himself at Nuka, teeth bared and claws lashing out at his own flesh and blood. ”Who do you think you are?” He demanded, breathing hard in Nuka’s face as he stood over him. The prince may have grown, but he was still not quite as tall as his father, and now Scar was like a lion possessed. He was not as weak as he appeared. ”This is your mother! You must show respect,” he warned, eyes furious, seething from nose to tail. He didn’t turn away from Nuka to see if Zira was alright; he was too preoccupied with punishing his son, a disappointment one final time. A low snarl rumbled in his throat, daring the younger lion to argue. The hyenas were only a call away, as always. ”You will never be king. I have seen enough. You are lucky to be alive, even more lucky that I let you stay! Do you understand? You are nothing without us.” He had no qualms about taking away a life he had created, if he saw fit, and the sinister look in his eyes said everything. He had been waiting for his mother to stand up, he waited for the retaliation that he desired from his training partner. However his kind cub behavior pushed through and he quickly shook his head and cooed to his mother. "Mother, I'm sorry, I wanted to prove myself, I shouldn't have-" But the teenager was cut off by a flash of russet quickly bounding closer out of the corner of his eye. The dull russet teenager turned his head for a split second and realized that his father was running towards him, he quickly squeaked, "Scar!" and was then struck down hard by the male that had given him his genes. The russet lion screamed at him, demanding Nuka to show Zira respect. Quickly the teenager defended his actions, "We were training! She wanted me to! Mother tell him!" He looked to his mother but quickly was turned back to his father who told him the thing that he should have known all along. Nuka was never going to be king, and that was final. There was nothing that was going to change his sire's mind now. He was lucky to be alive and stay a part of the pride and Nuka had to wonder if the only reason that was true was that Scar hated to lose his possessions even if they didn't mean anything to him. However, the look in Scar's eyes said it all, if Nuka made one wrong move he was going to be killed. There had been many close calls of an exile to the youth for speaking his mind, or at least many close calls of a beating and a possible scar, but this had been the only time death was an option. But those eyes, Nuka had never held more fear in his heart until that moment. There wasn't anything he could do, he couldn't attack his father or he would be killed. He couldn't retaliate against his father verbally, the hyenas would probably kill him. Nuka didn't say anything, he couldn't, so instead he shoved his father off of him and quickly ran away. He sprinted, his claws still unsheathed from the training session of his mother, and now he had tears stinging his eyes. The teen dodged every rock and stone that dared to stop his run and Nuka only looked back once to see if anyone was pursuing him. Thankfully no one was at the current time so he slowed his speed down to a simple trot. The tears that stung his eyes were nothing about the hurt of a father denying him the throne. They were much deeper than that. So much more emotion was flowing than just disappointment. Nuka had almost been killed, he could see it in his father's eyes. Scar wasn't even his father anymore, Nuka had cut off ties to the russet lion long ago. Fear ran through the teenager's heart as he came upon a secluded cave far away from Pride Rock and the rest of the pride. He would show up every so often, but his ties to his family were cut. He loved his mother, no matter how much she didn't see it, so he would find her every so often. But from now on Nuka would be in the shadows. But tonight it was different, tonight the teenager would lay awake with his eyes open. He would be ready if Scar came to kill him, but with that thought he wouldn't be able to sleep. He was now tormented.